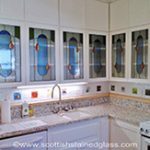 Stained glass windows are a great way to add beauty and character to a basement window that might otherwise showcase only a concrete well. 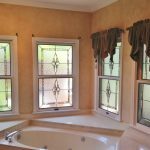 Typically, basement windows do not have a pleasant view, but if you have windows in your basement it is important to keep them open and visible as a source of natural light for the room. 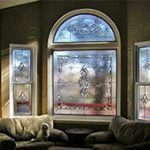 Stained glass windows will transform an unfortunate view into a piece of art and still let the natural light in, making it ideal for basement windows. 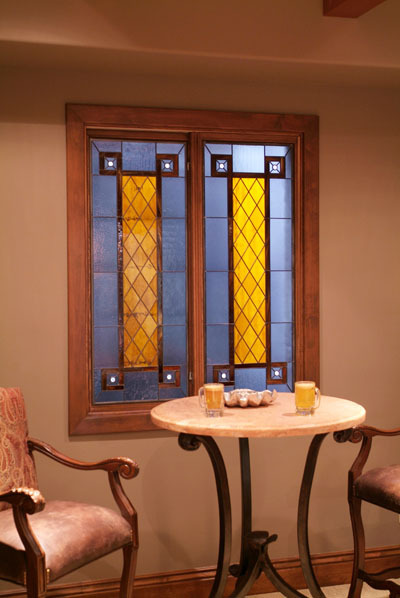 Basement stained glass is also helpful when it comes to styling a basement bar area and/or game room. 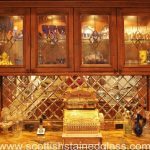 Instead of using standard back splash applications, stained glass can be used as a back splash for your bar. 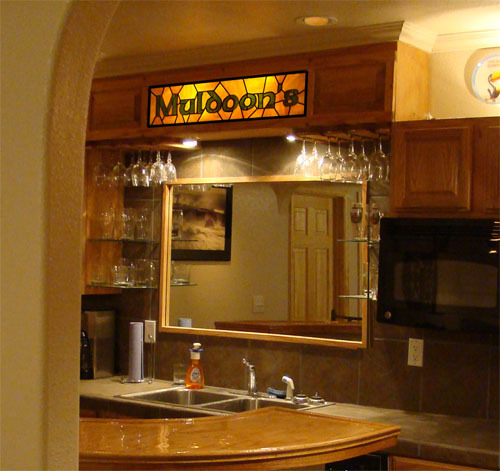 A back lit stained glass sign or even hanging panels will make your basement bar feel like an authentic pub. 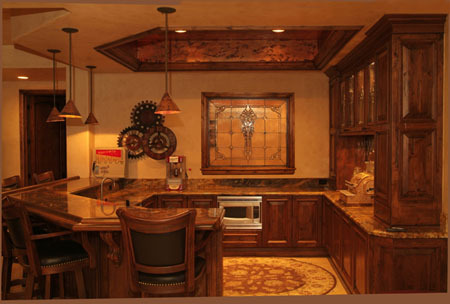 Stained and leaded glass can also be used to create interesting ceiling fixtures. All of these functions will make your basement a more welcoming and comfortable place by bringing elements of color, depth, and value to the space. 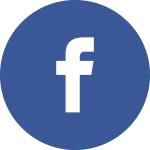 When it comes to the ever-popular “man-cave,” (or “woman-cave,” for the matter) these rooms often end up in the basement of homes. 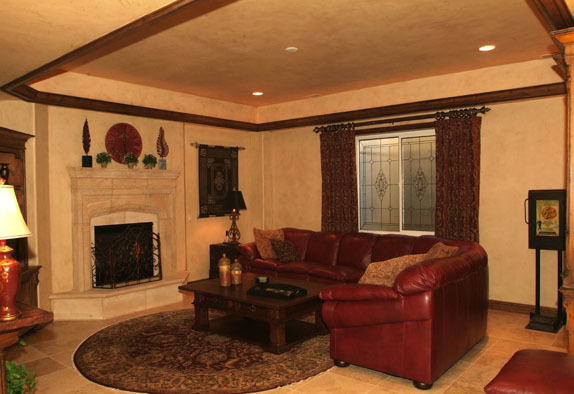 If you want to relax and have some fun in your basement, you want to feel completely comfortable. 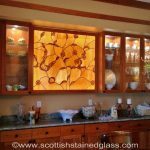 Sitting in a dark, dingy space can be impairing, and adding stained glass can be an imperative part of creating a space that doesn’t feel like the average basement. 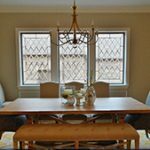 Our windows not only let natural light in while removing a less than ideal view, they actually can build a high-end look to the entire room. 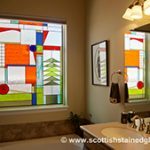 Another great reason to go with Scottish Stained Glass in your basement is so that you can incorporate your favorite style into your home in a new way. 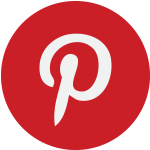 We can create glass windows with floral designs, Prairie Styles, and even antique styles. 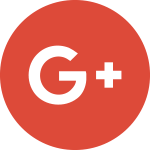 Whether you are looking to add a splash of color, or stick with clear, beveled glass options, you can be sure that we will create something that is completely in tune with your own personal style. 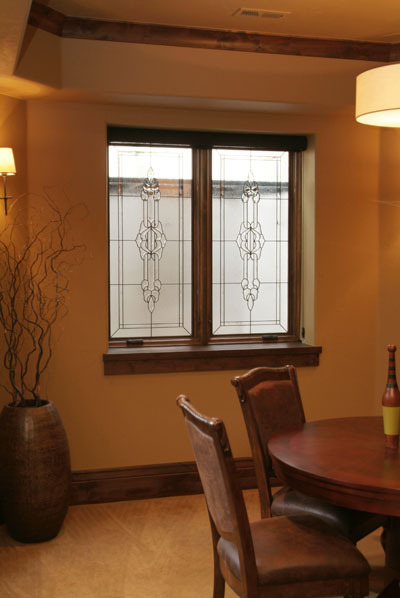 Many of the basement windows we create are made of beveled and leaded glass. 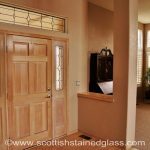 Clear, textured glass will match with any paint or space. It is timeless, classic, and truly beautiful. 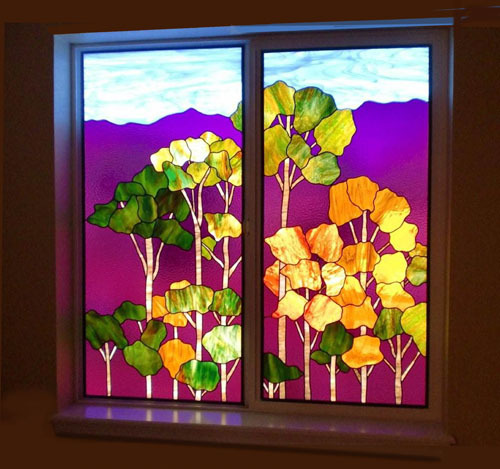 However, colored stained glass is a great option when it comes to basement decor. 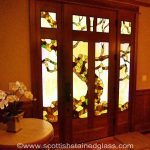 Basements sometimes carry a stigma for being drab and dark, but with stained glass your basement will shed itself from that less than appealing image. 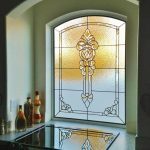 Whether it is entirely colored or simply has splashes of color, stained glass will brighten and lighten up your basement. 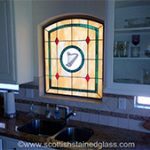 At Scottish Stained Glass, all of our pieces are completely custom. 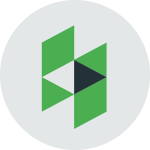 This means that no matter what you use your basement for, and no matter what style you’re hoping for, our designers can work with you to find the perfect window that is unique to your home. 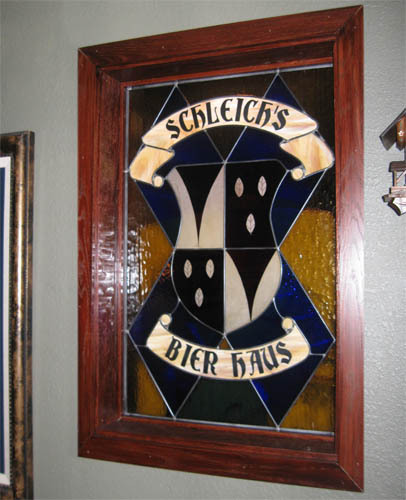 We want to make your next stained glass addition a great experience, so contact us today to set up a consultation.